Hey there! I’m back in the land of high-speed Internet after a busy weekend at my parents house. 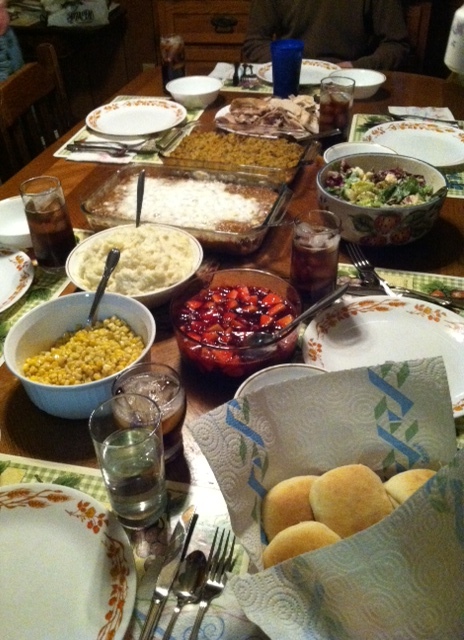 It was a great weekend to celebrate an early Thanksgiving with my immediate family. Nick and I headed to Hartville on Saturday morning after I got in a long run of 11 miles. It was a cold morning, and the run was fairly easy for me knowing that I was earning the right to eat a huge turkey dinner! YUM!!! 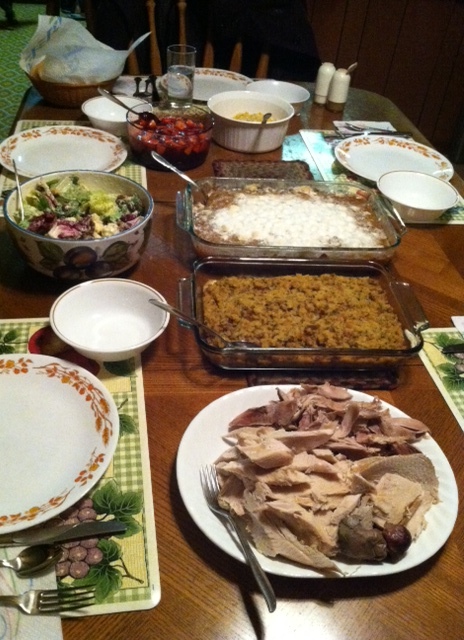 Once we made it to Hartville, my mom and I got to work on preparing this small feast. 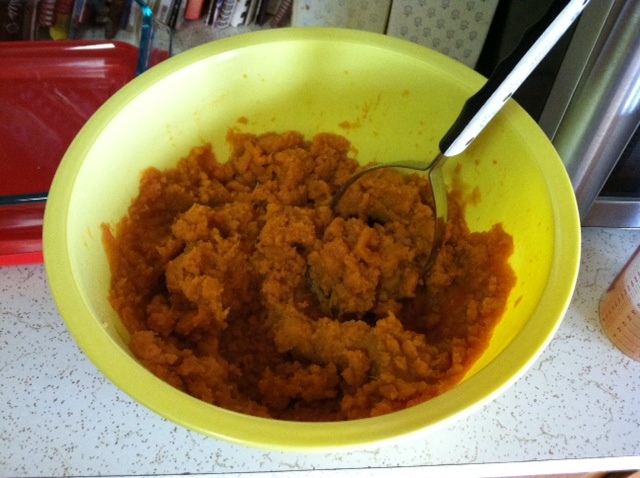 I whipped up my sweet potato casserole first thing and put it in the fridge to bake right before dinner time. 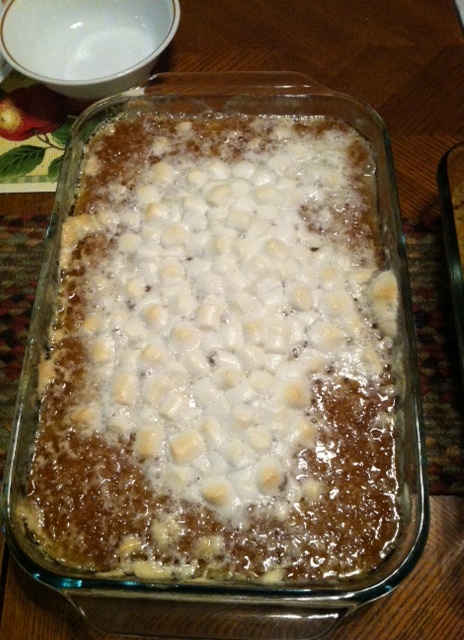 This stuff was tasty right out of the bowl, so I was excited to bake it with marshmallows! 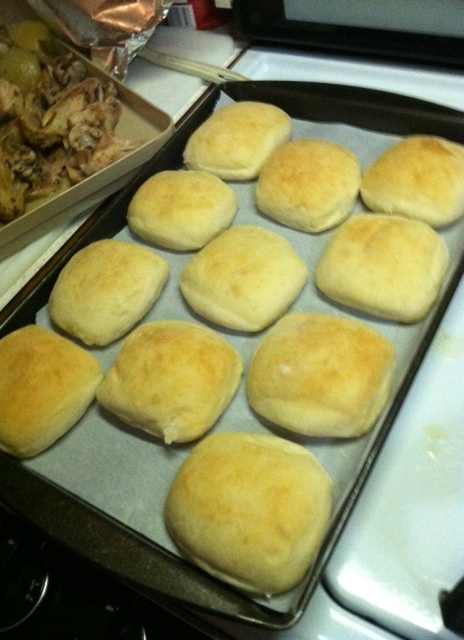 The marshmallows kinda failed though…I melted them instead of just toasting the top. Ooops! Still tasty though! I made them extra spicy with cinnamon and nutmeg. They were a hit around the table. 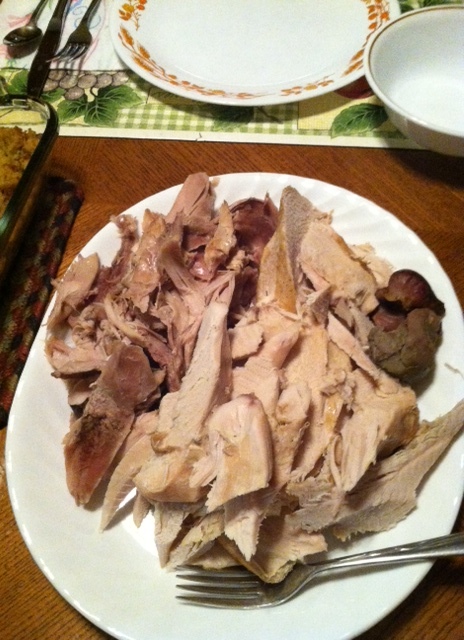 My mom cooked our 9 lb. turkey in her beloved CrockPot (hence my obsession with my own Crockpot! 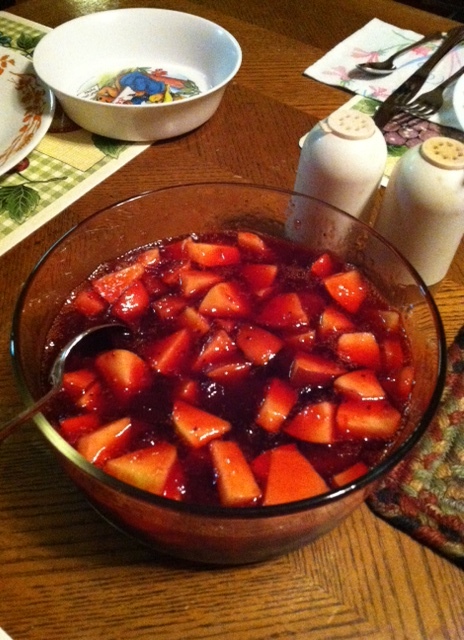 ), and it turned out amazing despite my doubts of it even fitting in there! 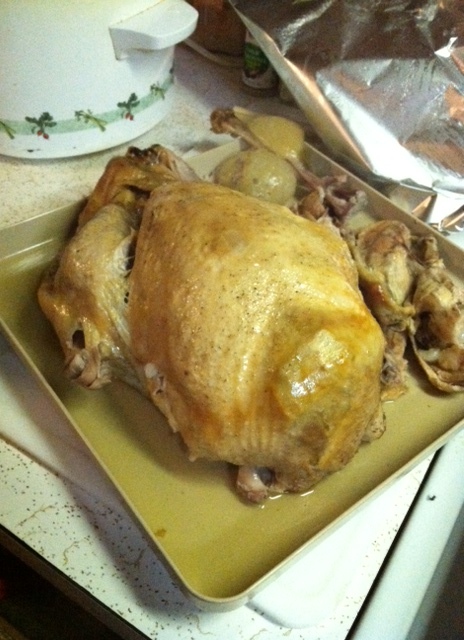 It was falling apart it was so tender, and all the juices made an awesome gravy. But let’s not forget about the amazing carbs that we all know and love too so much. 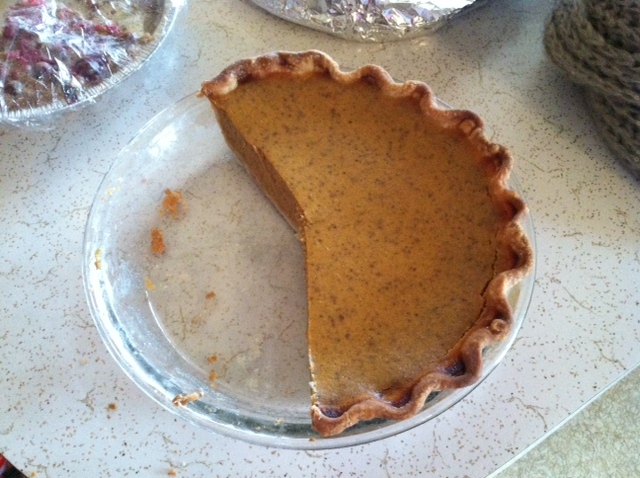 I had a couple of these babies, and I enjoyed every bite! 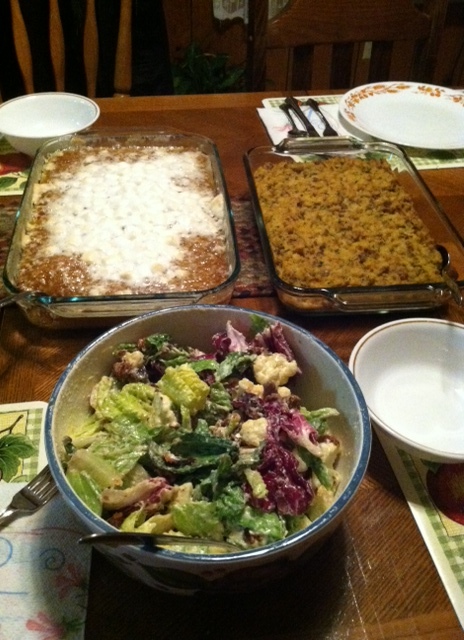 Our little feast also featured stuffing, sweet corn, and a cauliflower salad that my mom is famous for. And for the sweet stuff, cranberries and pie! 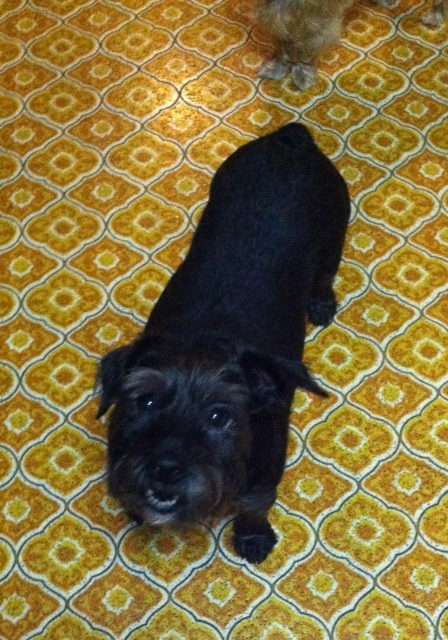 This is Angel, my brother’s schnauzer-mix. Isn’t she cute!? Her and Mac played the entire evening. They are a hyperactive-match made in doggie heaven! Also, check out my mom’s awesome retro kitchen floor. Love it. Getting together like this makes me so thankful for my family and all the blessings they bring me throughout the year. I’m one lucky girl to have such wonderful parents and family members! Nick and I headed home on Sunday after church with full tummies and lots of leftover pie and sweet potatoes. And now I’m trying to get in the groove to get through 2 more days of work before we head off again to St. Louis. Tonight’s agenda is packing my suitcase…again! Have a wonderful evening, and I’ll see you tomorrow! I would love to hear about your mom’s cauliflower salad.